Many of my friends are super busy wives and moms that are always looking for ways to save time and money on dinner. 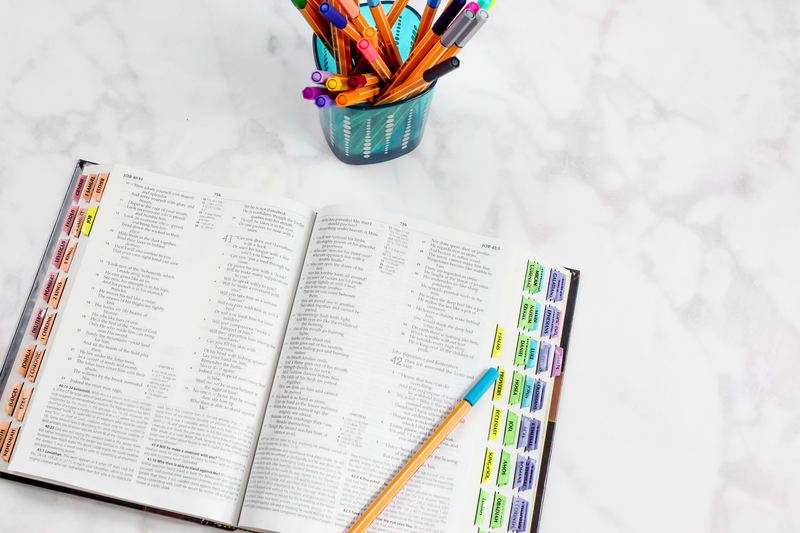 Recently, they have expressed an interest in bible journaling and bible study which requires even more time. Sounds like you? To help them, I’ve come up with a few tips on how slow cooker owners can take advantage of their slow cookers. Is it me or do all women feel that they must somehow transform into Supergirl and be the perfect wife and mother? I used to feel guilty for bringing home takeout or ordering out but some evenings I was SO tired. I’m positive this is the motivation behind most super moms and wives dusting off their slow cookers or buying one: saving time. 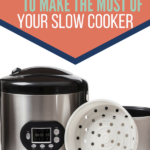 If you are a slow cooker newbie or expert, I’ve found some strategies that you can implement that are perfect for busy lives. 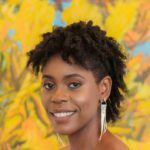 These tips have personally helped me as I have a full-time job, I blog for my website, I’m a new wife and step-mom and sometimes feel as though I have more spiritual responsibilities than time in my day. In other words, your slow cooker can go a long way in helping you make sure of the more important things: the bible, your family and other obligations. Most of the slow cooker recipes out there and the ones that I will share with you in future posts have a cook time of about 8 hours. This is perfect timing to put together the ingredients for dinner in the morning. That way, everything will be ready in the evening when you are back home. The best slow cooker I would recommend using is one that holds 5 to 7 quarts. The slow cooker should be ½ to ¾ full for accurate cooking times. Don’t lift the lid until the cooking time has expired. Cooking time can be increased by 15 to 20 minutes each time you lift the lid. Towards the end of cooking, you can taste and adjust seasonings. If you come across a recipe that calls for searing the meat prior to slow cooking, you do not have to sear it. However, if you have time, a quick sear ensures your meat will cook more evenly. You can take advantage of putting everything in the stoneware crock of your slow cooker the night before and keep in the refrigerator until the next morning. Do not put a cold stoneware slow cooker base into a preheated slow cooker. Instead, set the cold stoneware into the slow cooker, then turn it on. This will allow it to slowly heat up and prevent breakage. Now that you have these quick and simple slow cooker strategies, here’s a free tool for you to use to save your recipes. 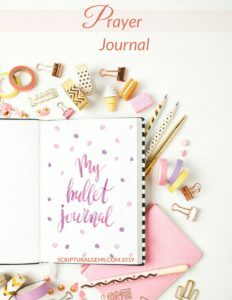 You can use this free Recipe Journal with bonus 4×6 Recipe Cards to create your own recipes or save the ones you love! 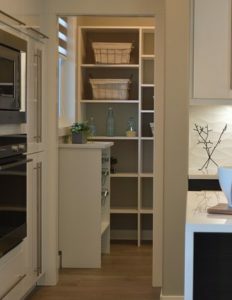 Isn’t it irritating to go into your pantry to pull out something to cook only to find that you’re out of a certain ingredient? It’s even more annoying when it’s getting late in the evening and you must make a quick trip to the grocery store. “Quick” trip? Yeah right. That never happens! That’s why I came up with a few things that I recommend you always keep in your pantry. They are used frequently in slow cooker recipes. Having them in your pantry means you always have everything you need for a healthy, home-cooked dinner. Having these items on hand will save you a ton of time and simplify your life. Take advantage of keeping your freezer well stocked. This will help you to lower your food costs. Buying meat and frozen food items when they are on sale, then freezing them, is the best way to keep your groceries within budget. You can place the above in freezer-safe containers. I recommend labeling and dating to keep track of which items you may need to eat before having to throw away. You can also add ingredients already portioned out for recipes in freezer containers: meat at the bottom, veggies, seasonings, and sauce on top. When ready to use, place the frozen container in hot water so it can easily come out of the container and into the slow cooker to set and forget. 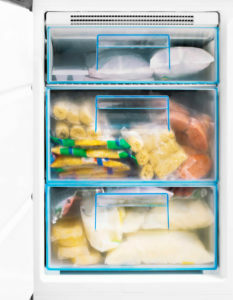 Most items can be safely frozen for up to three months. For the most part, there won’t be as much prep work for slow cooker meals. However, if you want another shortcut for more time, buy frozen chopped vegetables. If your grocery store has it, you can buy their fresh, pre-chopped vegetables. Note that while buying vegetables pre-chopped may save on time, it may add a little more to your grocery budget. There are some handy kitchen tools below to get you started. Make the Most of Your Slow Cooker! As busy spouses and parents, you shouldn’t have to feel guilty for taking whatever shortcuts you need to place a home cooked meal on the table. You can get creative with slow cookers and have a healthy and delicious meal on the dinner table in hardly any time. With these tips, you will make the most out of your slow cooker. You will also save yourself unnecessary trips to the grocery store for ingredients that you are out of. To help you start getting the feel of your slow cooker, you can begin by making broths which are key ingredients for most recipes. 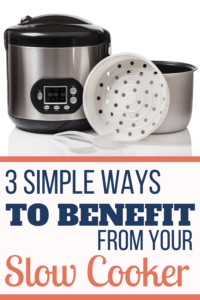 For easy beef, chicken, vegetable and seafood broth recipes, check out my post on 3 Easy Broths Using A Slow Cooker. Now that you have the strategies to take advantage of your slow cooker, what are you going to make? Feel free to let me know in the comments below! Or you can join my newsletter today to be notified when my slow cooker recipes are posted! Thanks Elisabeth!! I am so glad that you enjoyed this post. I really wanted to share with slow cooker owners some tips that have really helped me take advantage of using a slow cooker to save time. It really is a handy tool to use in the kitchen! Question. What do you do with frozen vegetables? Add at the end? Thaw? Don’t thaw? 😂 You’re welcome Aryn! Anything that saves me time is something worth using. Regarding frozen vegetables, it depends. I don’t thaw them but if they don’t get mushy, you can add them at the beginning of a recipe. I add veggies such as frozen peas, to the slow cooker at the end since they do not take long at all. They only need to heat through. Feel free to share your slow cooker recipes as well!